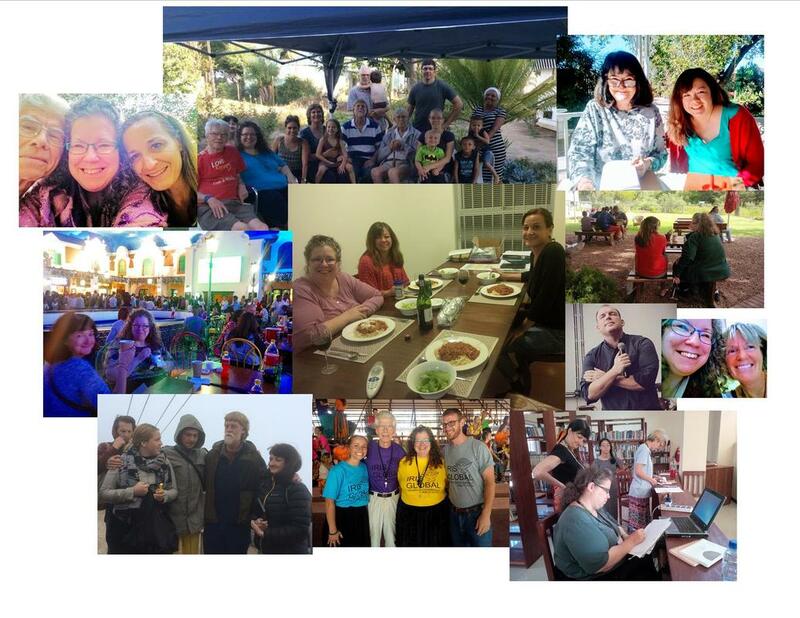 our iris family includes those who have impacted us on our journey to south africa, and those who have been with us in south africa for long or short-term. 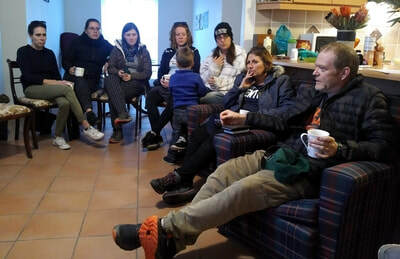 These people are too many to count, but they include our House Group (House of Love), led by Craig and Diana Baker of Australia. They also include our Colour group led by Kenneth Elder and Kimberley Rumary. And of course, many of our teachers, Heidi and Rolland Baker, Surprise Sithole, David Hogan, Jason Lee Jones, RT Kendall and so many more. Both Mama Heidi and Papa Rolland have had a significant impact on Laurie-Ann, since 2010. Tony and Pamela Maxwell also gave encouragement, particularly to do with timing that brought both Tony and L-A to the Harvest School at the same time. Arianna Van Halteren (from Holland), led our group of about 15 people from many countries. Three of that group are currently serving at the same base: Maggie Whitaker, Tony and Laurie-Ann. 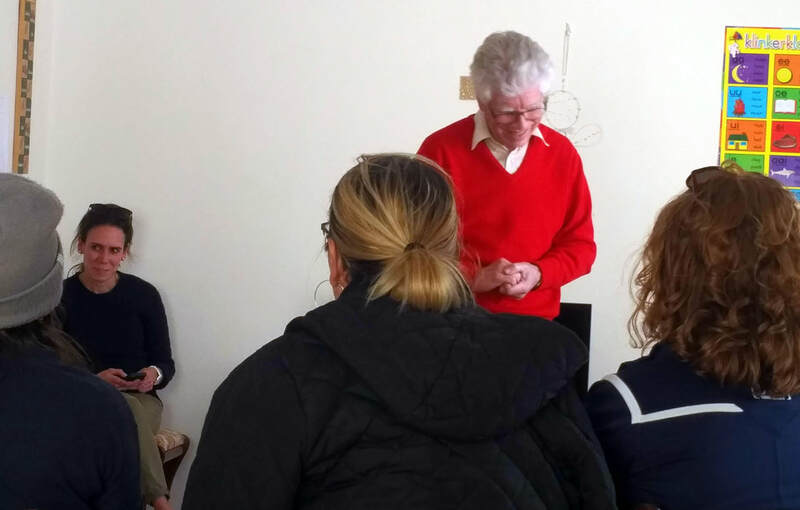 Kristina Dreyer and Patrick Paul Pillorz both returned to teach at the Iris Western Cape's School called the Father's House: Kristina once, and Patrick three times. All feel a connection to that special base in a narrow kloof between Worcester and Robertson. We get it. Sometimes our visas are shorter than we would like. 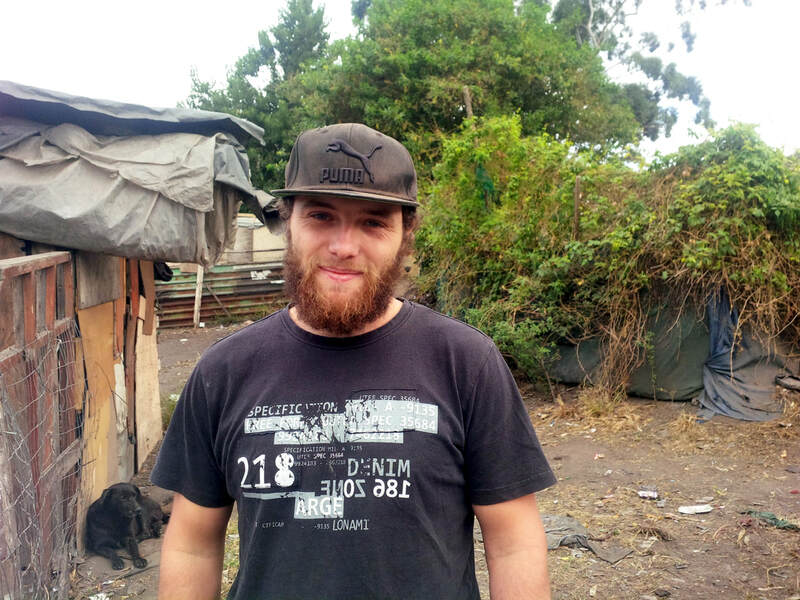 When we arrived in August 2016, we were picked up by two Irisers who are no longer in South Africa. These are Barbara and Katherine. Laurie-Ann especially loved doing stop for the one times in the coloured township in Robertson, as well as hospital ministry. Barbara had a special sparkle in her eye and love for the people of Nquebela. However, they are still doing ministry - just in their home countries of Germany and the USA. 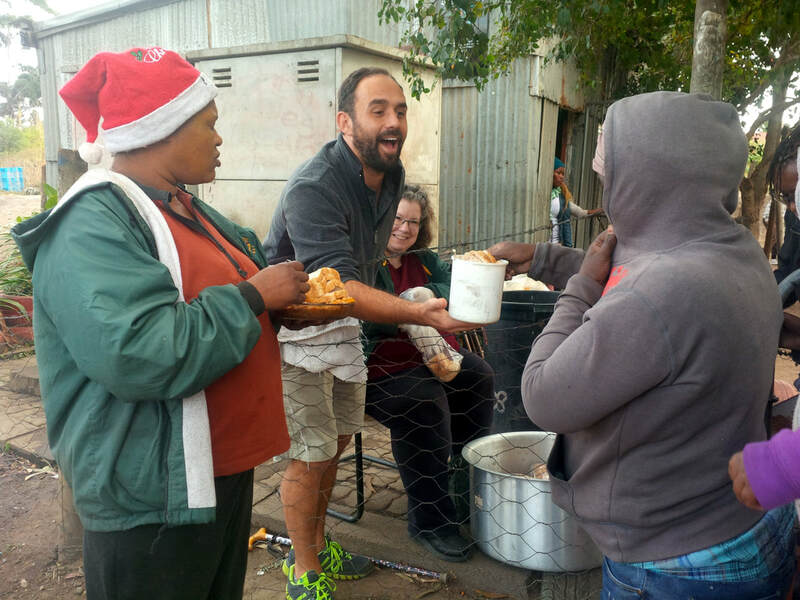 Johan and Marie Fourie were a huge influence on us during our outreach in Robertson (August 2016). Marie helped us with the dreams we received - that ended up being confirmations of a call to South Africa. Johan's gentle teaching also rounded out the Baker's teachings - and showed us that ministry is also about family. It's about extending family and relationship. It's the South African way. It's also the way of Jesus. These two have encouraged us, but also give us a lot of space to live and grow as missionaries in a new cluster - the next town away. We thank them for their love, support and prayers. Janis Chevreau has been a tremendous support while preparing for South Africa. She is far more than administrative - she's a missionary in her own right - as support to us on the overseas field. We are very thankful for her. We love all our team. We don't see the Robertson cluster folk as much as we'd like, but we sure love it when we can connect - to encourage, pray with, love on and minister with them. Mike and Carolynn (with their four children) are an example to us Copples of how to live in community as a couple and family with the very people you are loving on. Since we've always been short-term missionaries before our time in South Africa, we didn't really appreciate how special it is to be with the people longer. Both impact the community, but the longer term folk seem to be even more sacrificial. True roots are dug together with the community, so that the gospel lasts, and relationships are that much deeper. Mike and Carolynn attended their Harvest School two years before we did. Kaysha Bucher has always been a loving presence with her creativity and leadership. We've seen her stretched and stretched in situations and yet she flies in what God has given her. She attended Harvest School two years before we did. We only met Gary Mediema when we arrived in November 2017. We were drawn in by his deep compassion, wisdom, practicality and wry sense of humour. We hope to have more time with him during our time in Western Cape. We've had a longer relationship with Maggie Whitaker, since we shared the same Harvest School, and she and Tony have a shared English heritage cultural connection. We hope to do some shared ministry together, but we have enjoyed Iris family times together, since she's been the one to organize it. She has an amazing way with the elderly, children and dogs. 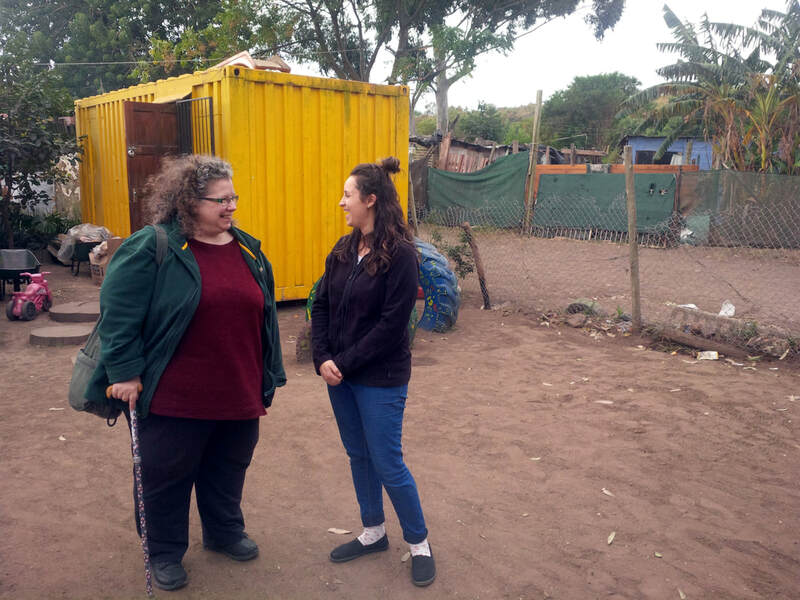 While she is gifted in the area of taking charge in tasks, she's being stretched to forge relationships with the lonely in Robertson. We've come to know and love the short-termers as well. Some include those we hope to have long-term relationships with. There's Tanya Milette, who wanted to be long-term, but was denied her volunteer visa (hopefully she will have one in future). We met her at the end of the Father's House 8 school, although she also attended Harvest School (26) the year after we did. We have worked with Tanya in My Father's House Worcester Monday kid's club. She joined us at our small school MasterPeace Academy, in assisting Dr. Mella Davis, and also in Riverview kid's club. She joined us at the Iris Vinkrivier Farm Kid's Club. She joined Tony with visits to Boland Hospice, and in Folla's Avian Park Shanty ministry. We've spent many family dinners, day trips, Hillsong outings, and other ministry with her. We will miss her when she leaves - she's left a huge connection on our hearts. And there are some of the alumni of Father's House 9 school, who attended March and April 2018. There was Melissa, Krista, Cree and Christie Adams, in a bunch of 8 ladies. Christie stayed with us for one night. She also joined us with the Avian Park kids. 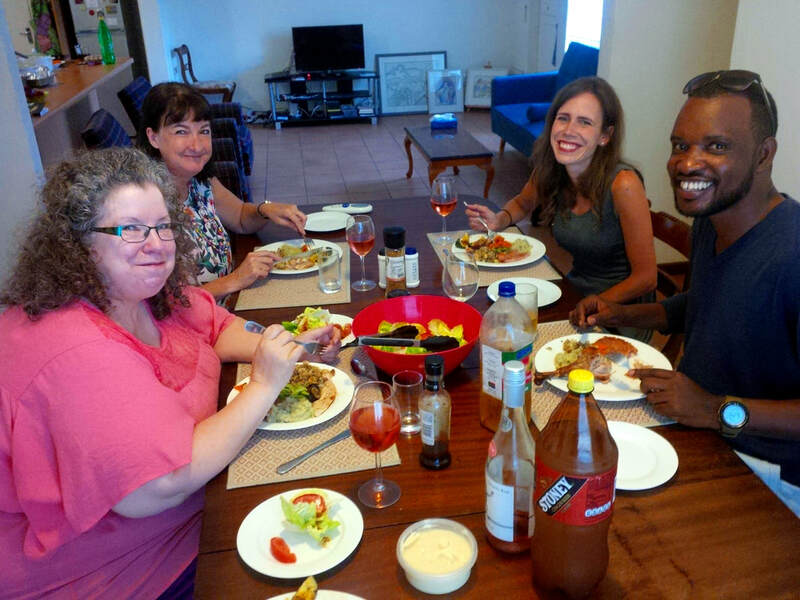 We had a lovely time with her in Muizenberg, & made sure she reconnected with the next stage of her South African ministry. But another thing that was special about Christie, is that she is part of the same Dwelling Place congregation that has so ministered to both of us. More to come as short-termers, Iris Father's House & Harvest School Extended Outreach folk come our way! We had the privilege of ministering with this lovely international team in our Monday afternoon kids club (My Father's House Worcester). 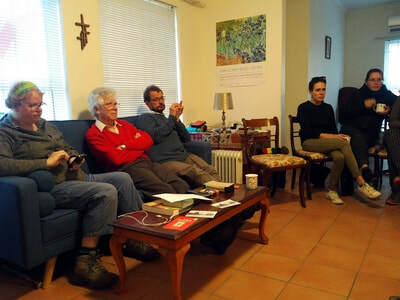 It was providential that we were doing the Alpha Course Holy Spirit ministry day. Each Harvest Schooler got to lead at least one child to Jesus and to love on them. Afterwards, we had mint tea and maple candies from Canada, at our home. 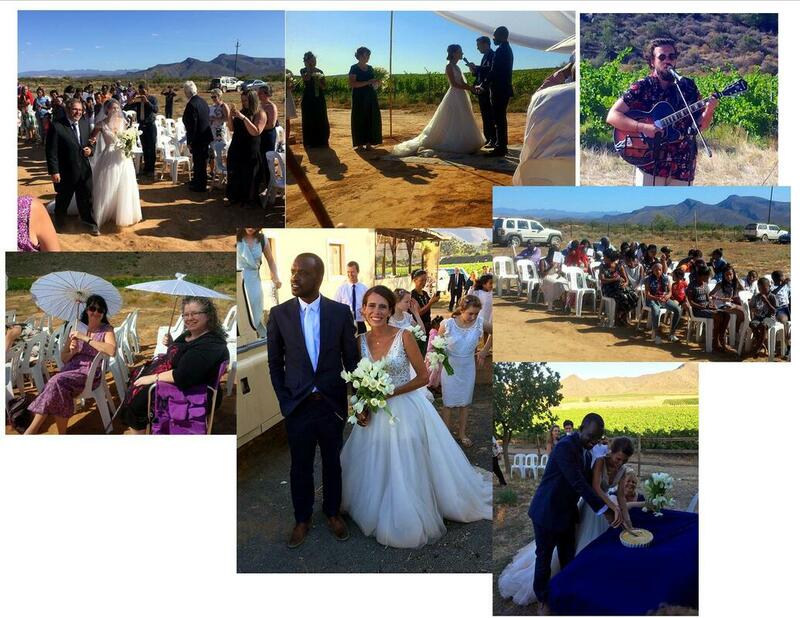 Kaysha and Alex's wedding - in the vineyards of LeRoux & Fourie - 19th January, 2019. Global Mercy Missions was founded by Josh and Rachael Minter in the Amalinda suburb of East London. The base is located in a former garden refuse dump (compost), where a mini township is growing. They are transforming the area into a garden, full of nutritious fruits and vegetables. The base includes a toddler room, creche, medical clinic, future SOZO room, and a soup kitchen, which L-A was asked to help with during our visit. Staff include local South African missionaries (like Dylan Weiss, shown above), and internationals. We love them and hope to reconnect with them again soon!